In this role, a church planter will work to develop and promote a multiplying house church network in Puerto Vallarta, Mexico. Our desire is that the network be multigenerational/multicultural. 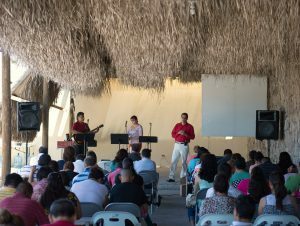 The long term vision of this church is to begin in Vallarta but eventually the church planter may move to an outlying village within an hour or two of Vallarta to help the movement expand. Consider joining this team as the vision grows and expands as God leads. Someone in considering this role should use natural giftings and interests to make contacts, leading to evangelism and discipleship. They could offer special teaching- workshops for the community (on marriage, parenting, family, current-day topics, etc.) and additional theological topics (hermeneutics, leadership training etc.) for the house church network. The focus group is majority working class with some opportunity to engage with others as well. This position is available for short-term, mid-term or long-term in program lengths. “College degree in a ministerial major & leadership training. Experience in evangelism, discipleship & church planting while being a self starter is recommended.